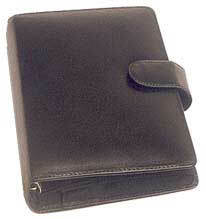 An organizer with soft cow leather on the outside and Microfibre interior. The closed size is 12.5 x 19.5 cm. 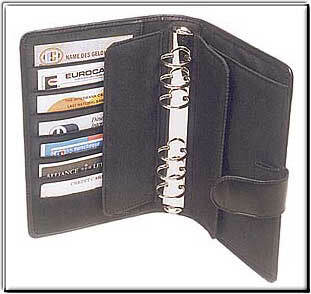 On the LHS, there is 7 credit card slots and a side pocket covered by a flap. The flap also protects the rings from touching the credit cards. The RHS has a pen loop and a press button pocket.